Featuring slick, atmospheric storytelling and a tough-as-nails protagonist, this engaging thriller set against the Parisian underworld of the Roaring Twenties showcases the craft of a dynamic new talent, in Paul Pope protégé Chris Hunt. This past year has seen the emergence of a wealth of new talent in the world of comics. 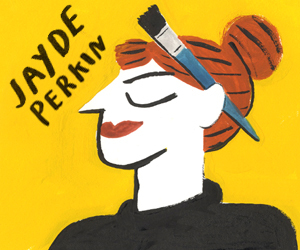 At Broken Frontier, we pride ourselves in not only spotting up-and-coming creators but celebrating them each year in our annual awards, in a category we call Breakout Talent. There are some wonderful new artists and writers on this year’s ballot, such as Babs Tarr (Batgirl), Jessica Martin (Elsie Harris Picture Palace), and Andrew MacLean (The Tomorrows). One name that just missed the cut-off for this year’s awards is Chris Hunt. Widely known as Paul Pope’s artistic protégé, Hunt’s much-anticipated debut finally arrives this week as the latest release from Z2 Comics. Hunt lays the groundwork for his creator-owned series with style and atmosphere. Art and writing are equally impressive, working in near-perfect unison to set the stage for a classic tale of love and adventure. A so-called “gentleman of fortune” (as opposed to the less-savoury “soldier”, one supposes), Carver returns to Paris after five years abroad to take care of some unfinished business. The setting of 1920s Paris is an inspired choice, serving as a fitting backdrop for Carver’s simmering intensity. Like his protagonist, Hunt’s Paris is dark and foreboding, full of long, textured shadows and hidden depths. It’s a secretive place whose many layers conceal a conflicted heart. 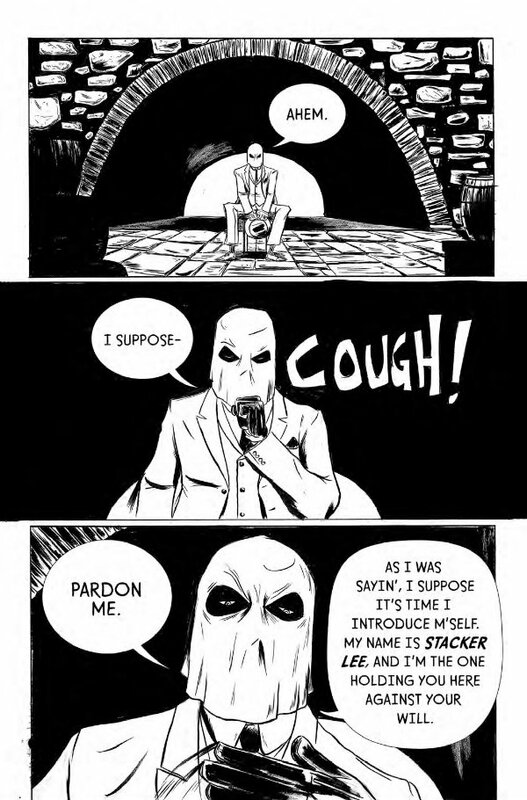 This is perhaps no better illustrated than in the character of Stacker Lee. A criminal mastermind who rules the Parisian underworld from behind a Cobra Commander-style hood, Lee seems to share a past with Carver. 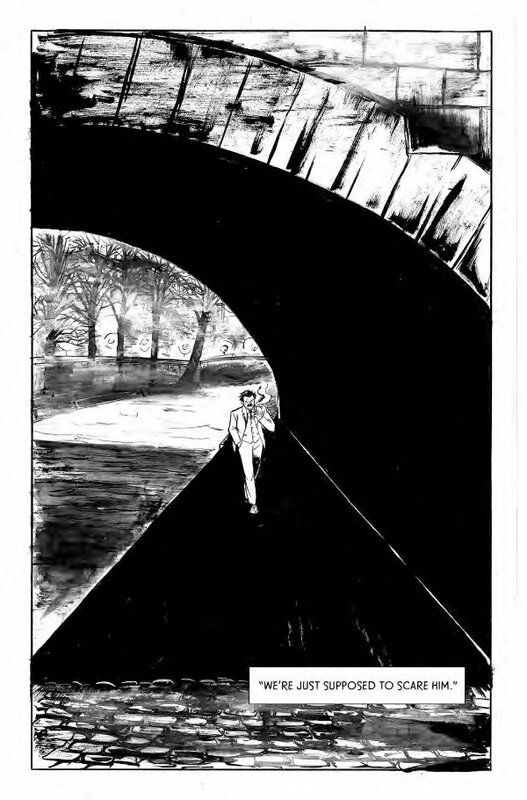 He opens the issue with a delicious monologue that at first seems directed at the reader – introducing himself, as it were. But there is an ulterior motive at play in this clever framing device. Hunt returns to his villain later in the issue, revealing additional layers of emotional depth and motivation that – superficially, at least – appear at odds with Lee’s criminal reputation. Hunt’s visual storytelling is superlative. Honed under the watchful eye of industry icon Paul Pope (who provides a cool short story following the main tale), there’s a telltale fluidity and texture in his brushwork that harkens to his artistic pedigree. Transitions feel organic and slick, and that neat little framing device mentioned earlier felt in no way overwrought or pretentious. One gets the feeling while reading Carver that Hunt’s just getting his bearings. There’s no limit to what he could accomplish if this first volume is any indication. 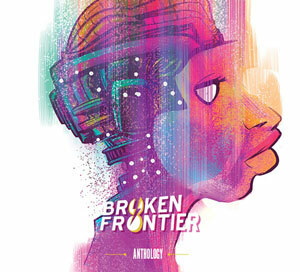 The guy’s a beast, and unless I miss my guess, this will be the first in a long line of fantastic comics from Mr. Hunt. It’s also worth noting that Z2 Comics is a boutique publisher of creator-owned work from Pope, Dean Haspiel, and Miss Lasko Gross, among others. They don’t publish just anybody. 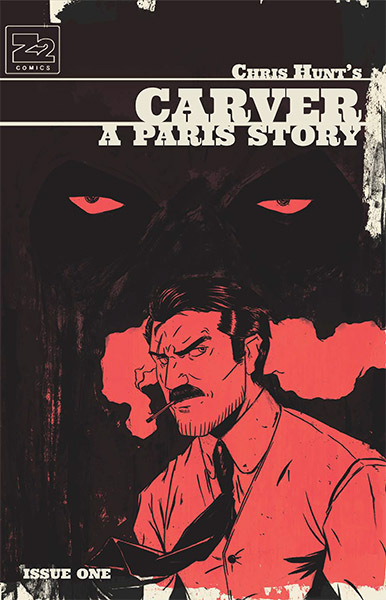 Hunt’s obvious passion for the craft of making comics and the facility with which he manipulates the mechanics of the form prove that their confidence in Carver: A Paris Story wasn’t misplaced. Chris Hunt w/ Paul Pope (W/A) • Z2 Comics, $3.99.